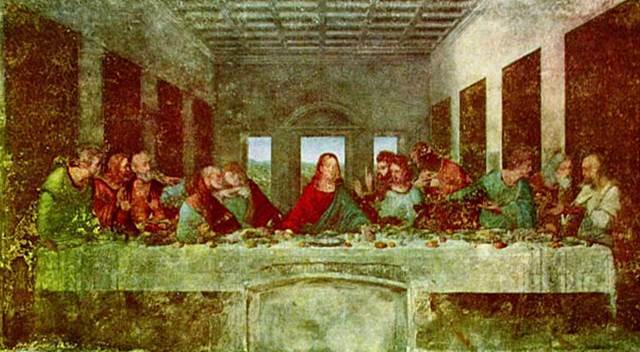 This is one of the most famous scenes in the world: Jesus’ last supper, reinterpreted through Renaissance eyes. (For a start, in the original they would have been lying down on their sides, and in a much smaller room!) What’s the story behind this scene? Why is Jesus celebrating this ritual meal? And for us – how did we get our communion service out of it? Rather than being evasive, the whole “I am who I am” answer tells Moses and Israel to “watch this space.” You’ll see what kind of god I am by what I’m about to do. Exodus 3 – What’s in a Name? This week we’re looking at some highlights from the story of the Exodus, focussing on the Passover feast, as a way of setting the scene for our Easter series in Matthew the following week. We pick up the story in Exodus chapter 3. What’s in a name? Is it just a label to distinguish us from the person next to us, or does it have a deeper significance, a deeper meaning about who we are? I don’t think people these days place too much significance on the meaning of the names they give to their children – more on how it sounds with the surname. At least I think that’s how my parents approached the task of choosing names. Because mine means “honouring to God,” whereas my sister’s means “prophetess of doom ignored by men.” Either that or they were just mean.